2013 certainly has been a year of social media, for it has been a part of the revenue equations for a number of companies. Under the increasing pressure of delivering ROI i.e. return on investment, marketers have been making use of social media as a platform to accomplish multiple goals. According to a recent study, it was revealed that there was an increase in the number of marketers at both B2C and B2B companies, who report to not only generate awareness and leads through social media but also report to convert those leads into customers through it. 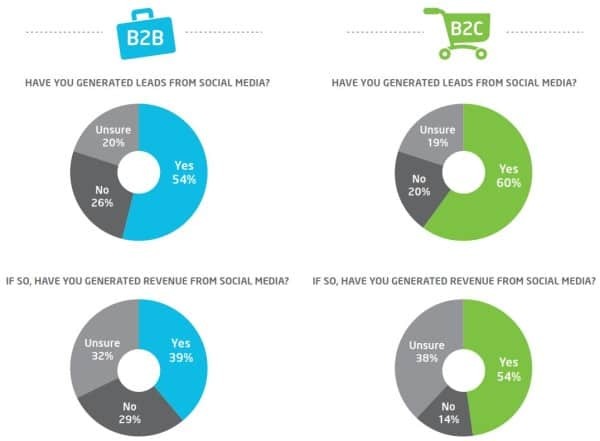 54% said yes, of which 39% were sure that they generated revenue from social media, 32% were unsure while 29% said no. 60% said yes, of which 54% were sure that they generated revenue from social media, 38% were unsure while 14% said no. Although it is evident from the report that a large number of companies whether B2B or B2C are using social media to accomplish different goals, still there are many companies which aren’t tracking social media’s impact. In fact, one in five marketers in both the type of companies were unsure whether they have generated leads from social media or not. Besides, of those who were sure that they have, more than one third are unsure if the leads got converted into sales. The study clearly reveals that around 40% of the marketers polled were unable to attribute social media for either lead generation or conversions. 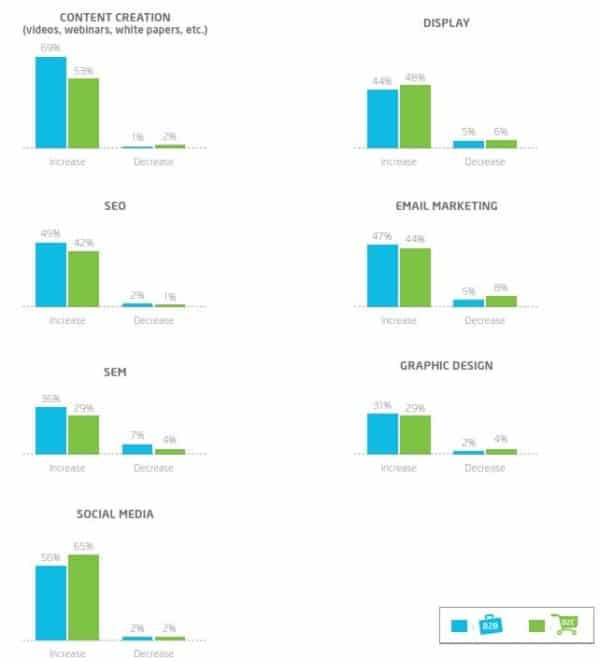 However, the fact that of more than 500 marketers polled, half spend 25 percent or less of their budgets online, is one thing that might explain these results. But then when it was asked to the marketers they said that the number one impediment in increasing online budget is the inability to prove ROI. Without the ability to prove ROI, it is no wonder if 15% of the marketers polled report lack of clear strategy. 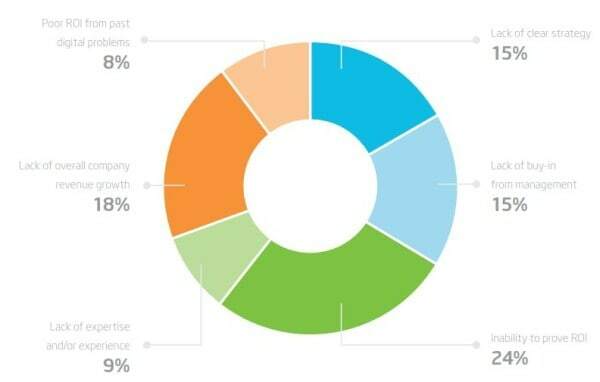 However, most of the marketers polled are planning to increase their investments in online channels, focusing mainly on content marketing and social media. This is the benefit of online marketing if you know the tactics; there are many tools at your disposal for free such as social media that you can use to your advantage. Many companies are already doing it and that you should not lag behind and miss out to those awesome opportunities that social media bestow you with.